The hip-hop world lost one of its own on Monday after the death of rising rapper XXXTentaction. Born Jahseh Dwayne Onfroy, the young performer emerged on the music scene as an up and coming rapper from Florida known for his dreadlocks, facial tattoos and raw musical style. He adopted his name XXXTentacion, which stands for Unknown Temptation. Musically inclined from a young age, the SoundCloud star did not follow the rules set by those before him. His bad behavior and altercations with other people and his relationship with his mother caused his to run in with the law in his early teen years. His troubled past followed him until he was sent to a juvenile detention center. He spent a year in jail, where he met friend and rapper Ski Mask the Slump God. They formed a group and called themselves Members Only. In March of 2014 Onfroy released his first single, “Vice City,” and quickly amassed a cult following. The following year, he continued to build his brand and earn even more song credits thanks to Soundcloud uploads. The year 2016 was heavy in arrests, domestic abuse charges and run-ins with the law for the rapper. His legal woes began to overshadow his music popularity. His first full album, 17, debuted at No. 2 on the Billboard 200 chart in August of 2017. During this time, excerpts from his ex-girlfriend’s testimony were released and trial dates were postponed for charges of abuse. He was sent to jail in December on these charges and the addition of seven more charges, but he was soon released and placed under house arrest. His second studio album, ?, was released in March of 2018 and debuted at No. 1 on the Billboard album chart. 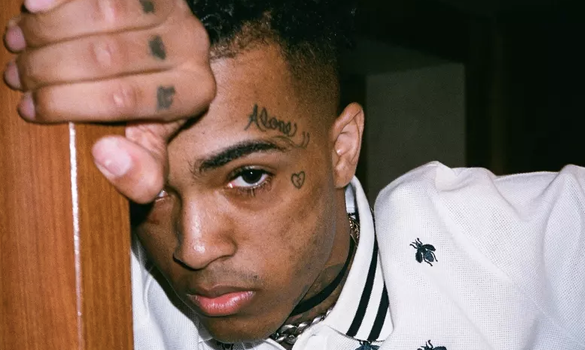 The single “Sad” gave XXXTentacion his first top-ten single, to boot. Monday afternoon the rapper was pronounced dead in his home state of Florida. He was the victim of an alleged drive-by shooting at RIVA Motorsports in Deerfield Beach. Commemorate the life of the rising talent with 13 of our favorite tracks from XXXTentacion in our essentials playlist below.